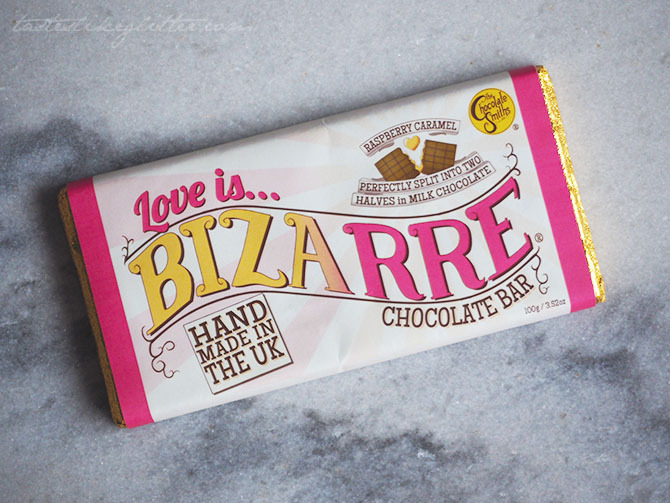 The Chocolate Smiths Love Is Bizarre Bar. February is the month of love regardless if you're in a relationship or not. I'm a strong believer of just treating yourself instead if you're on own because why not right? 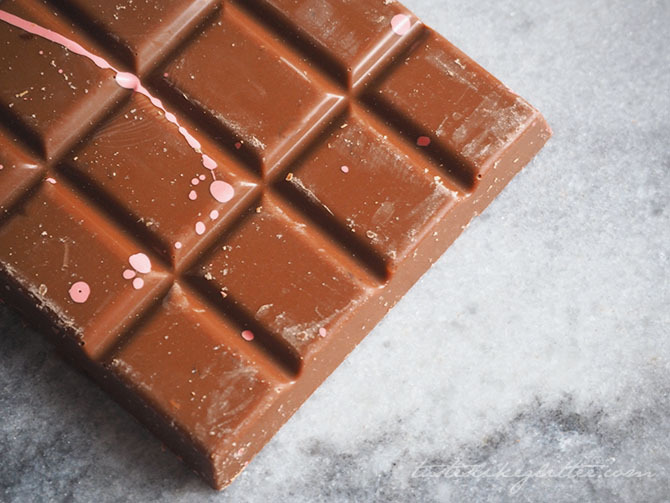 Of course one of the best ways you can treat yourself is to a nice bar of chocolate. I don't know about you but I love curling up with my big fluffy blanket, a gripping Netflix watch and an indulgent chocolate treat. Even better when you can support independent businesses. For Valentine's day, The Chocolate Smiths have created a rather unique bar. 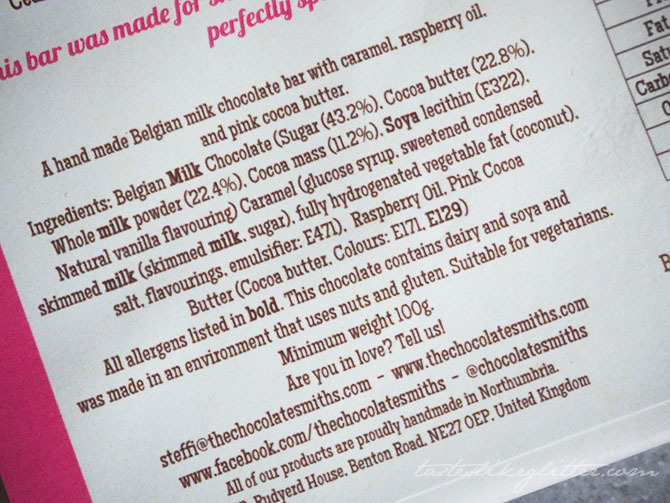 It's their perfectly smooth milk chocolate, decorated with splashes of pink cocoa on the top. Inside you'll find pockets of buttery smooth caramel flavoured with raspberry oil which gives it a truly unique twist. 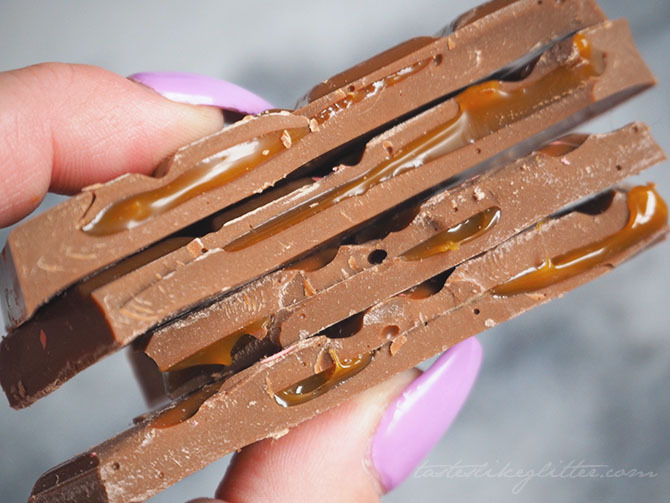 I can't say I've ever had anything similar to this and providing you like caramel and raspberry - I am 100% sure you will adore this bar. Of course, it is limited edition so if you're thinking about it don't hang about it as it won't be around for long. 10 Things I Love Sunday #3. Pandora Burger & Fries Charm. 10 Things I Love Sunday #2. Yankee Candle - Jack Frost. Lush Snow Fairy Body Spray.